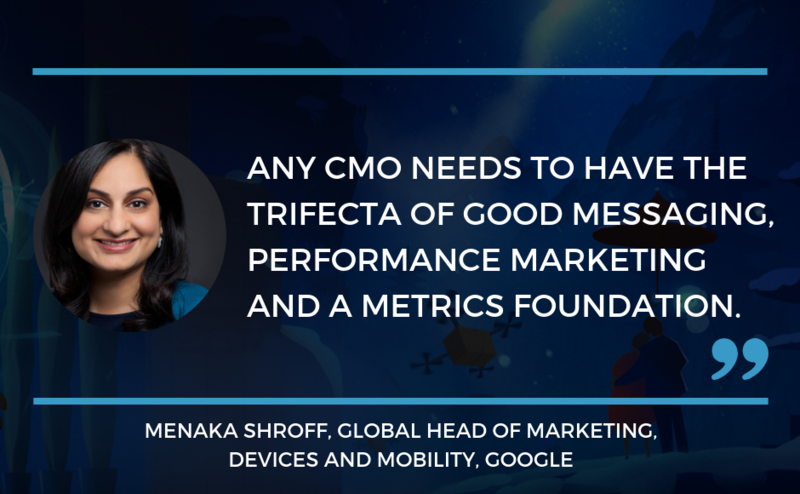 In this episode of Marketing Trends, Ian talks with Menaka Shroff, Global Head of Marketing of Devices and Mobility at Google. Menaka has also worked in marketing roles for Box and Yahoo. We cover how she manages to find great companies to work for right before they take off, how to use analytics to drive better marketing, and how to get sales and marketing into better alignment. 1:10 - How Menaka got into marketing. 2:00 - Menaka’s strategy for picking great companies. 2:50 - The difference between corporate and start-up life. 5:10 - How to balance analytical marketers with other roles on a marketing team. 7:45 - Aligning sales and marketing on metrics. 10:10 - The best campaign Menaka has ever been a part of. 13:35 - The process of becoming a thought leader in an industry. 14:50 - How to plan and run a great corporate event. 18:20 - The future of AI and machine learning.